There are 3 things I love about Fall and Winter: comfy warm clothes, hot chocolate and comfort foods like this gluten free beef stew. Sometimes it is a struggle to find good comfort foods that fit into your healthy lifestyle. This gluten free beef stew fits both as it warms you up on these cold days while keeping you feeling good about what you ate knowing it was clean and healthy. Not to mention it puts you in and out of the kitchen in about 30 minutes from start to simmer. This is a great dish for company. Today was a busy day with blog work, mom work and I was able to fit in barn time with my horse, Delilah. This was so quick to make and then leave to simmer on the stovetop to get other things done. Of course, I can’t resist turning on the next episode of Grey’s Anatomy while I am cooking. I have to get an episode in whenever I can, and this recipe is easy enough to do both! 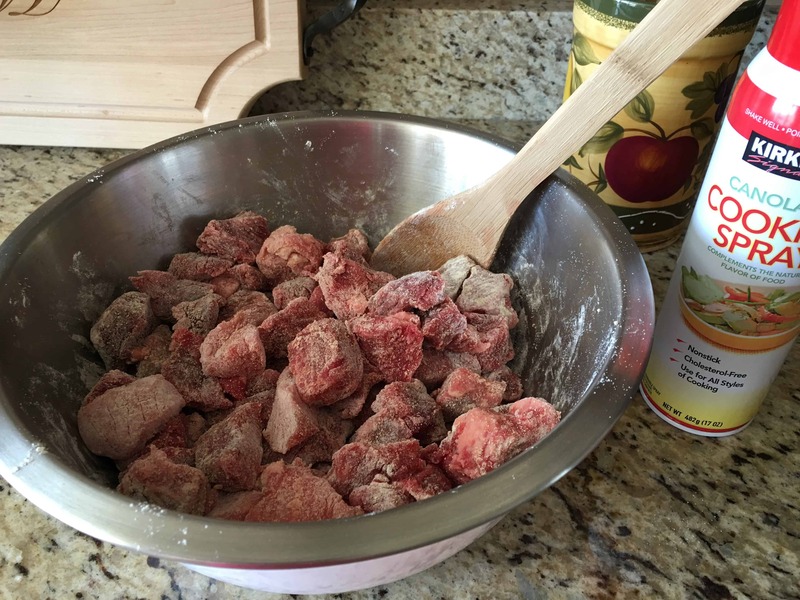 First, put the beef cubes into a bowl to coat well with salt, pepper and 3/4 cup of gluten free flour. After spraying the dutch oven with cooking spray, you can use coconut oil or whatever you wish, I heat the dutch oven over medium high heat. When I put the beef in, I want it hot enough to sizzle and sear the juices in. I stir around every minute or so until most of the sides are browned but not cooked through. 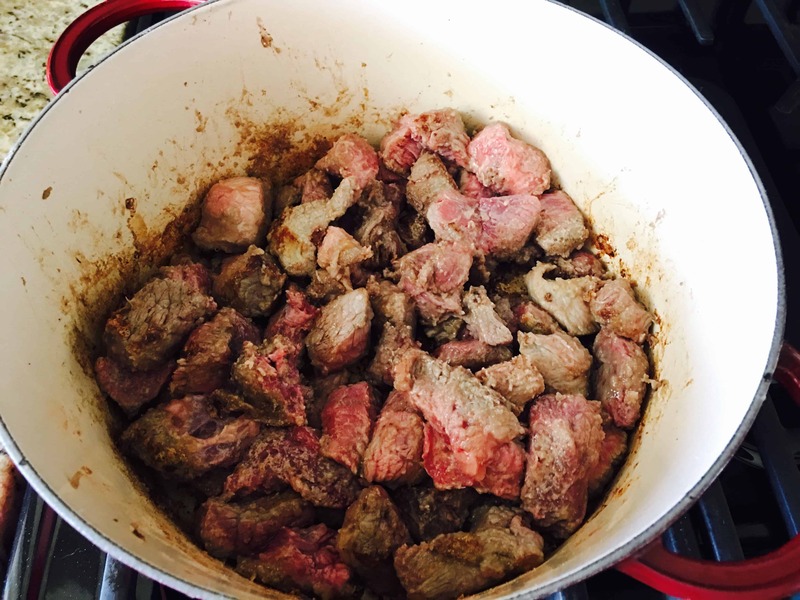 Make sure not to cook the beef thoroughly at this point, cooking it thoroughly right now will make the beef tough. 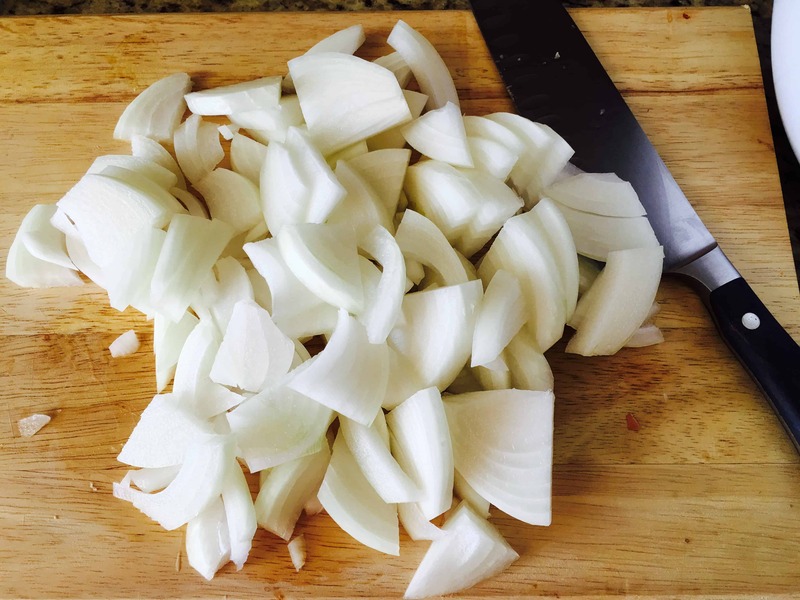 While the beef is browning, I roughly cut 1 large onion. 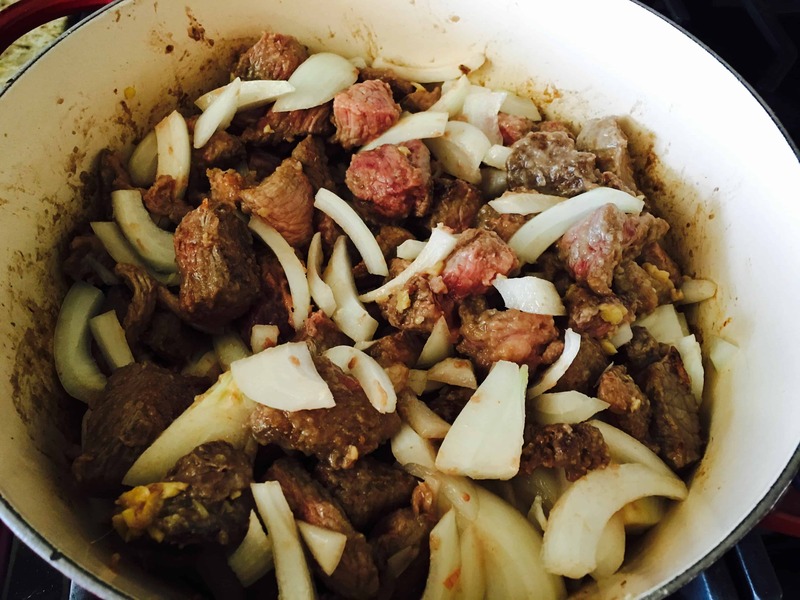 Once the beef is browned as desired, add the onion. 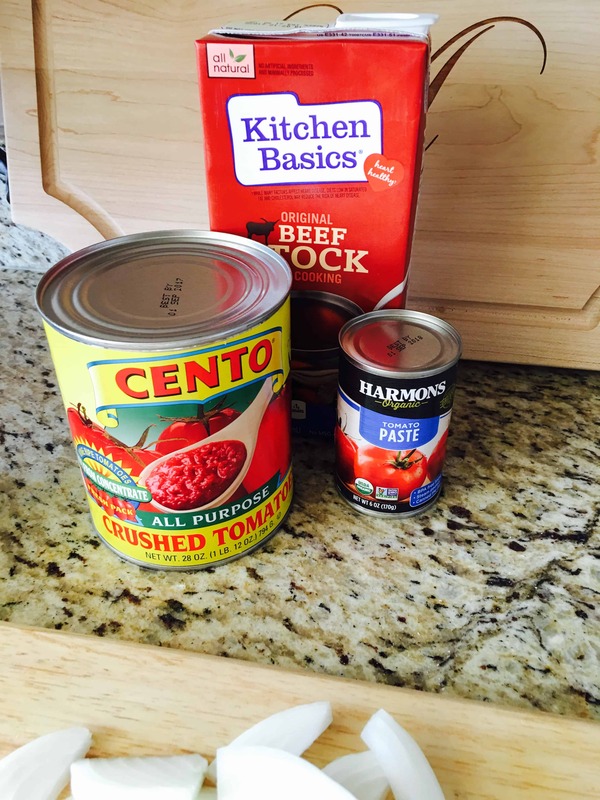 The bulk of the liquid for the stew comes from these three items: beef stock, tomato paste and crushed tomatoes. I combine these into a bowl to make sure the tomato paste is mixed well before adding it to the beef and onion. Just take a minute or so to whisk together now, it is easier than trying to mix together with the beef and onions in the way. Once mixed well, go ahead and add it to the beef and onion along with 3 oz of worcestershire sauce. Next, chop about 4-5 medium potatoes. Add the potatoes and 1 1/2 – 2 cups of carrots into the dutch oven. Now, find a comfy place with a cup of hot chocolate to finish watching the Grey’s Anatomy episode you started – or whatever you are watching on Netflix or Hulu while the gluten free beef stew begins to boil. 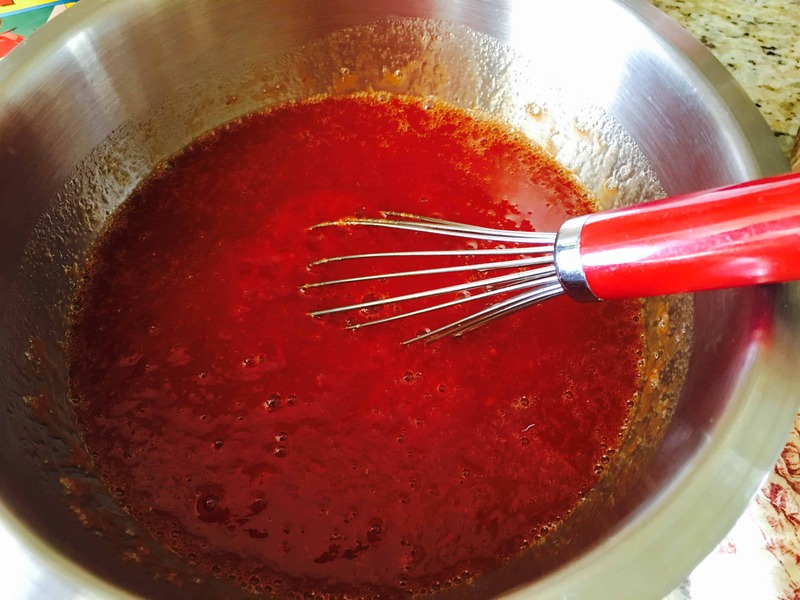 Once it is boiling, turn it down to a simmer, cover and let simmer 1-2 hours. I love the aroma this beef stew spreads throughout the house. 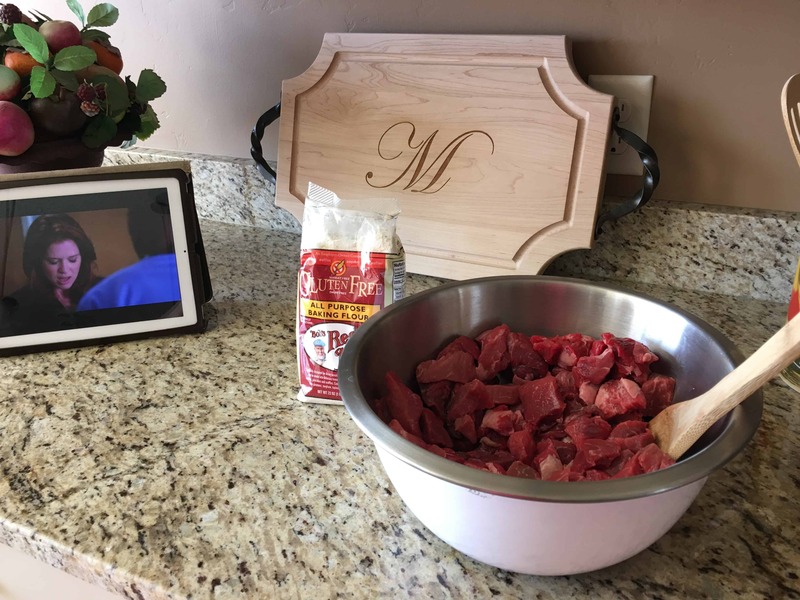 Place beef stew cubes in a bowl. Sprinkle gluten free flour over and stir to coat evenly. Season with salt and pepper to taste. Spray dutch oven or large pot with canola pan spray to coat. Heat pot to medium high, add beef stew cubes to sear. Stir every minute or so until most of the beef is browned. Do not cook thoroughly. While the beef is browning, cut onion and add once beef is browned. In a mixing bowl, add tomato paste, crushed tomatoes and beef stock. Whisk until mixed thoroughly, add tomato mixture to onion and beef. Add worcestershire sauce. 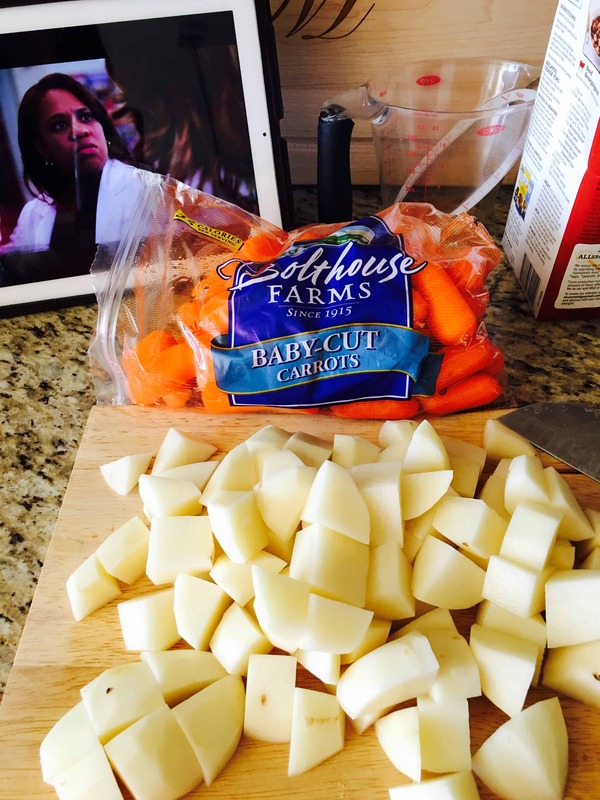 Cut potatoes into bite sized pieces, and add potatoes and carrots to pot. 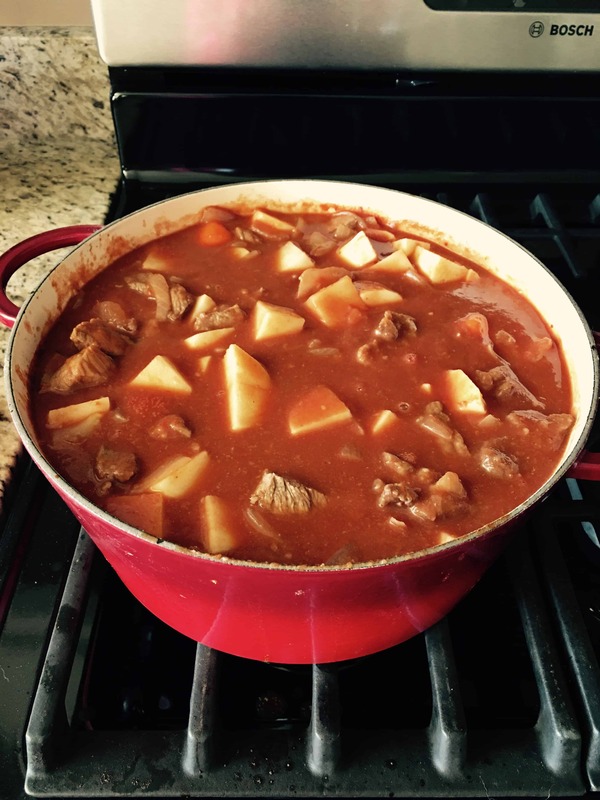 Allow beef stew to boil, reduce heat, cover and simmer for 1-2 hours. Enjoy! Share on Facebook or Pinterest now!